Old House Borers are members of a large beetle family called long-horned beetles, the name refers to the long antennae which are about one third their body length or longer. These borers are normally found in homes that are ten years old or less. Region: Old House Borers can be found all along the eastern and western coastlines of the United States. They are very prominent from Louisiana to Florida up through the Ohio Valley and into Rhode Island and Delaware. They are also found from Southern Texas up through Washington state. Habits: Old House Borers prefer soft woods such as fir, pine, hemlock, and spruce. 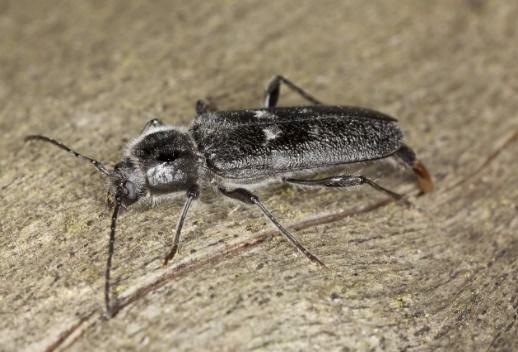 They can infest both new and old houses and are the only long-horned beetle to infest seasoned lumber. Habitat: The adult female lays forty to fifty eggs in cracks, or crevices of suitable wood. The eggs hatch and the cream-colored larvae bore into the wood and develop over the next two to ten years. The pupal stage only lasts two weeks, but the new adults remain in the tunnels up to ten months before emerging. The exit holes produced by Old House Borers are 1/4 to 3/8 of an inch in diameter, and oval shaped because they emerge from the wood at an angle. 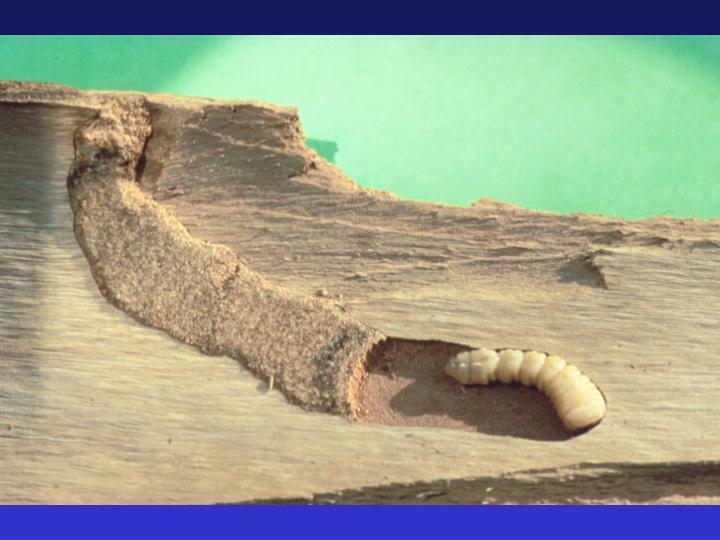 Threats: Old House Borer larvae create large, extensive galleries within the wood that can compromise Structural integrity of affected wood.